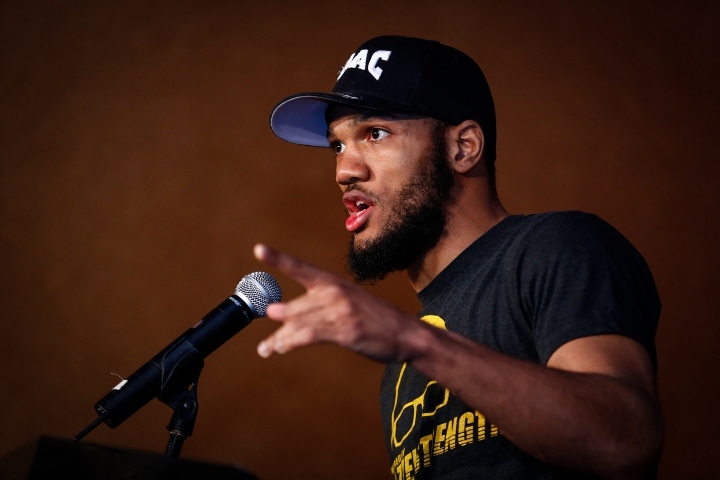 Long before plans called for their fight to take place in the defending champion’s hometown, Julian ‘J-Rock’ Williams knew what he was in for the moment he sought a showdown with unbeaten, unified super welterweight titlist Jarrett Hurd. Their May 11 bout will take place at a venue to be determined in Washington D.C., mere minutes from Hurd’s hometown of Accokeek, Md. The location was under consideration but not the primary plan when the fight was first agreed to months ago in principle. Still, where the fight takes place is of less interest to the Philadelphia-bred contender than to the boxer he will have in front of him on fight night. Williams enters his second career title fight having won four straight since the lone loss of his career, a Dec. ’16 stoppage at the hands of then-unbeaten 154-pound titlist Jermall Charlo who has since moved up to middleweight. In the two-plus years since then, Hurd (23-0, 16KOs) has emerged as the class of the division. The 28-year old claimed his first title in a Feb.’ 17 knockout win over Tony Harrsion, registering three defenses including a thrilling 12-round split decision over Erislandy Lara in their title unification clash last April. Williams earned his place as Hurd's mandatory challenger on that undercard, edging out Nathan Gallimore over 12 rounds. The two appeared on the same card last December, both scoring early knockouts to move towards their head-on collision—along with getting a good enough look at one another to understand what's truly at stake in May. “I view Hurd as the #1 guy in the division,” acknowledges Williams, though not at all to the point of showing any concern. “He has three excellent wins vs Harrison, Lara and (former titlist Austin) Trout and he's a unified champion. Fight is in Fairfax, VA. About 30 mins from Washington DC.